When away from home, as well as finding it harder to stick to a clean diet, many people find it harder to fit in regular exercise. While I was on holiday with my family, I didn't have my home gym available, and there was not a commercial gym to be found for miles around, so I had to improvise. The good thing about being experienced in using my own body weight for exercise, is that I can usually work out any time, any place, without too much trouble. 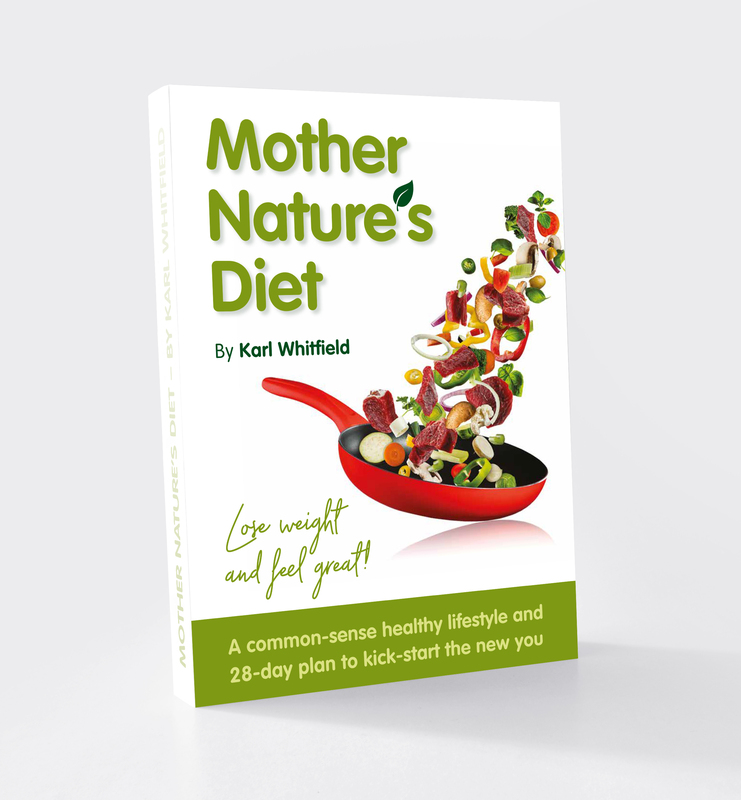 When I set up MotherNaturesDiet.com, about 9 months ago, it was my first blog ever, and I knew nothing about blogging, so I was just learning as I went along. I thought a blog, was a blog, was a blog, and I was not aware of the massive differences between the different blogging sites and the software they use. It turns out, I picked a rubbish place to start, and that's why this site is so ugly!! I have learned since then, and I recently built a new site at www.KarlWhitfield.me using WordPress, and it is SO much nicer and SO much more professional, the new site looks clean and smart, so I am going to now totally start again with MND.com and create this over on WordPress too. I have registered www.MotherNaturesDiet.me on WordPress, and I will start building there. Once I have moved the whole thing over, then I will redirect this domain name to point at the new site, so eventually (and this could take easily 6 weeks or more to complete) then both domain names will all end up in the same place, and this ghastly green mess can be closed down! So I won't be posting much over the coming weeks, sorry, but there is already about 100,000 words on here, and the more I add, the more I will have to then move to the new site, so it makes sense to stop adding here, and just get "settled into my new home" so to speak then start again. I took two of my kids camping and hiking for the weekend, and it was great. In terms of healthy eating, we did pretty well...however the visit to Pizza Express definitely strayed 'off plan' for me!! We left for our trip straight after the kids finished school on Friday afternoon, and after almost 5 hours in the car, we finally reached our campsite. I had pre-cooked a meal earlier in the day (a tasty chilli) made using organic meat and veggies, so I just re-heated it for a late supper when we arrived.